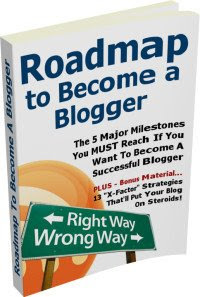 “Roadmap to Become a Blogger” is a free report (ebook) by Gideon Shalwick and Yaro Starak. The ebook has been downloaded by over thousands bloggers around the world. A great resource for helping many to get their head around some of the basics of setting a blog up, running and moving towards the right ways to success as bloggers. How a new way of using video, images and a blog turned a penniless actor into an Internet Superstar! 13 secret strategies to attract traffic to your blog like bees to a beehive, turn your competitors green with envy and provide you with multiple streams of passive income.